The Acrobatic Silks just got an upgrade for modern times! Now you can perform it with the silks tied to a coat hanger! 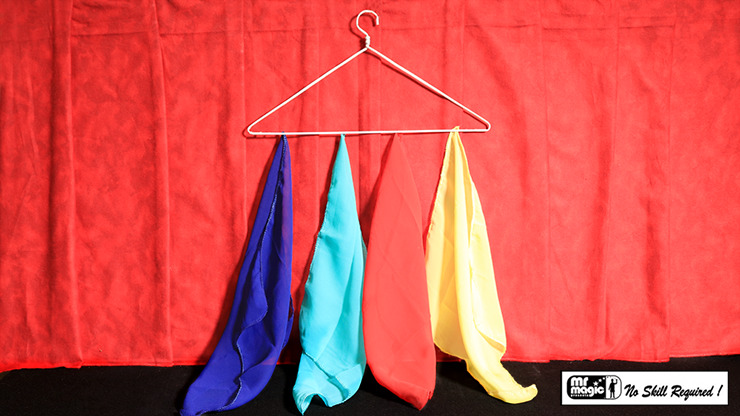 This classic works just as before: With four different silks tied with knots to a hanger, have your spectator name any colored silk. Whichever silk is named, it visibly falls to the floor. Repeat this with all of the silks. Time to upgrade your presentation of this venerable classic. Purchase yours today!